Built in 114 A.D., and still standing in Rome, this is considered the finest example of the Roman alphabet, and has long been a model for font designers. The Trajan font was designed in 1989, but other similar uses go back further. These letterforms were intended mainly for hand-carving in stone, and the delicate serifs make them more readable when carved. This tradition carried over into drawn letters and later into printing, where early presses were so crude that serifs helped readability a great deal. While the cover above doesn’t have a logo per se, it does benefit from almost two thousand years of gravitas associated with the ancient Roman letterforms. Can’t get much more traditional than that! Bringing us up to the present is this recent cover with a slightly revised version by Pat McGrath of the original SPIDER-MAN logo. THE AMAZING is larger and follows the arc of the lower word better, but put this next to the logo from issue 2 way back at the beginning, and the continuity is obvious. 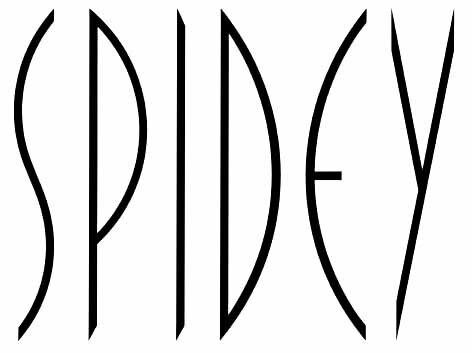 So, what defines the Spider-Man logo? I’d say the overall unifying element is the lowly webbing, relegated to the background, but always lending that familiar organic strangeness to otherwise fairly standard letterforms, in most cases. As with Batman’s bat shape, it’s symbolic of the character and the logo, and the ones that work best have it there somewhere. Now a few other logos I thought were worth mentioning. 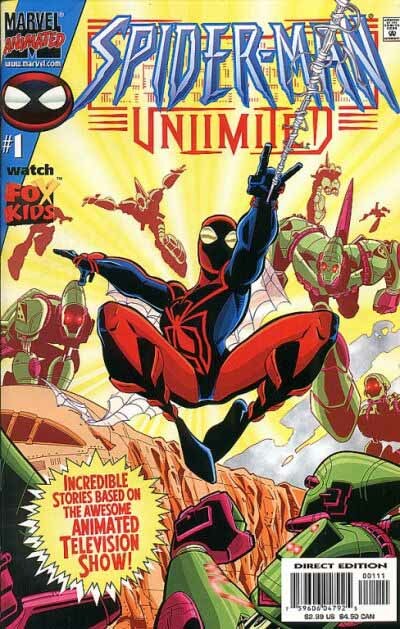 SPIDER-MAN UNLIMITED from 2000 is an animation spin-off title, and I really like what they’ve done with my spiky logo design on it: giving it a beveled look and spreading the bottom out. UNLIMITED is also very nice, and I like the decorative spikes on either side of it. I don’t understand the pattern behind the main title, though. Perhaps it has something to do with the TV show. 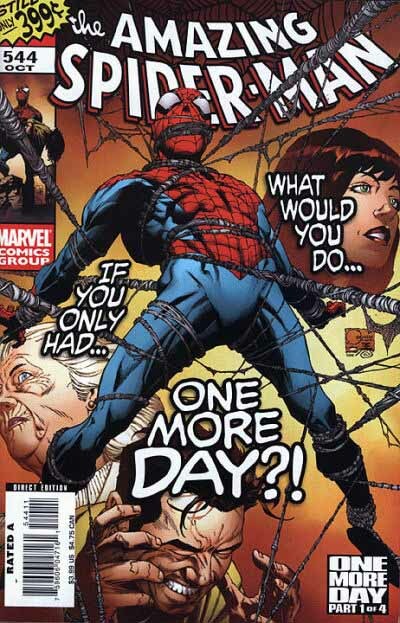 This title from 2001 uses what I think might be a Comicraft font for the words SPIDER-MAN’S at least, not sure about the TANGLED WEB. I like the combination of rounded forms with pointy ends. And the round spider symbol is very nice as well. This was obviously designed to leave lots of room for the attractive painted art, and does that perfectly. Another cover with no real logo, just type. The attractively designed stylized art by Tim Sale does a fine job of selling it anyway, and the type design complements the art style and colors excellently. I would be unlikely to buy this book if all I saw was the title type, but as a whole it’s quite appealing. Finally two logo designs I had a hand in that I really enjoyed. 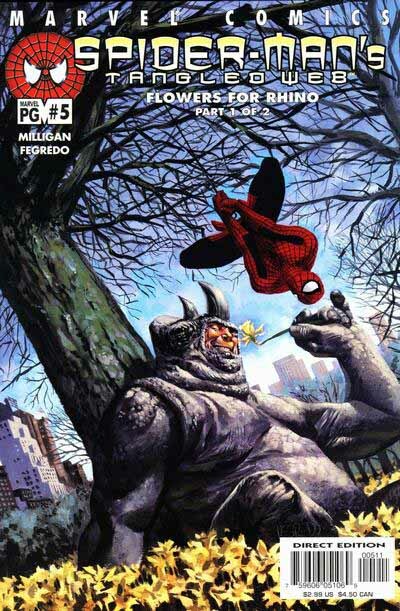 Above is the logo for an Amalgam Comics title from 1995, where characters from DC and Marvel got mashed together in odd and sometimes entertaining ways. Everyone involved had way too much fun, really. And I was asked to design some of the logos for the short-lived line by both Marvel and DC, so I did too. This logo was designed by Alex Ross and inked by me for a one-shot in the lengthy EARTH X saga of three limited series and many one-shots or mini-series. 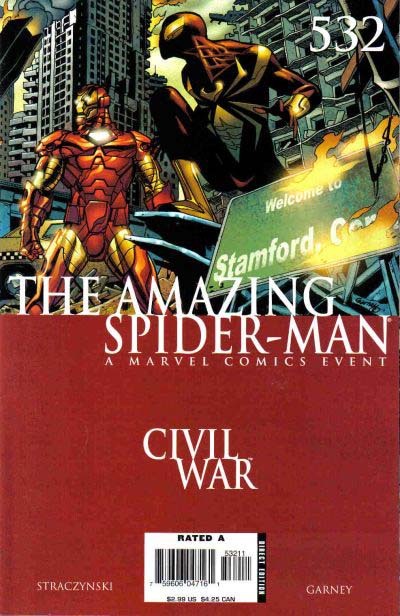 It would never work on the average Spider-Man cover as it takes up too much space proportionally…but it’s really cool. I love working on logos with Alex, he has a fine design sense. 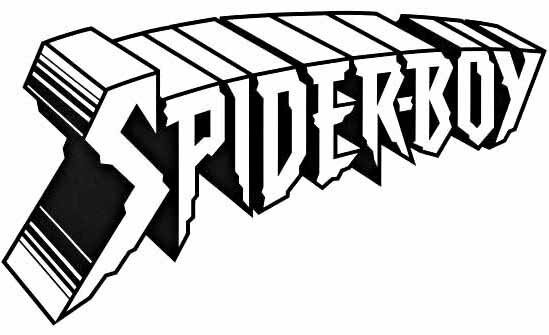 There you have it, all I can say about the Spider-Man logos. I’ll be back with more logo studies in the future. Hope you enjoyed this one. This entry was posted in Logo Studies on March 6, 2008 by Todd. great blog entry, I always enjoy your posts, I find them one of the most enjoyable and informative reads of the blogs I frequent. Just a note, in the cover for “Spider-man’s Tangled Web” THe font used for ‘Tangled Web’ is the font used on the promotional material for the Spiderman movies (seen at http://www.comicartdepot.com/movie-reviews/favorite-movies/spiderman/images/spiderman-movie-poster.jpg). I think it’s called ‘Homoarakhn’ and the same font was also used by Sony for one of their Playstation’s (I think the third one) promo stuff. Whether the use of this font on that cover was a nod towards the movies, I’m not sure, I can’t remember when the first movie was released. Anyway, great logo study, I really enjoy reading them. Thanks, John. Sounds like a Japanese font, then, not ComiCraft. Fascinating history of the Trajan, which (ignoramus that I am) I’d never heard of until now. Thanks, Augie, very funny. Trajan is easy to find in comics, too. 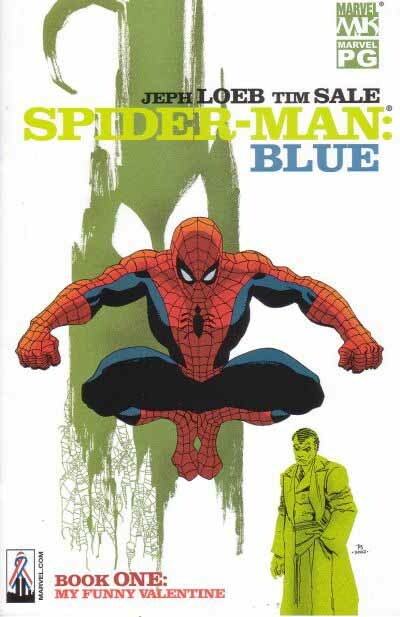 Also, the Spider-Man: Blue cover is supposed to look like a Blue Note album cover, isn’t it? That’s what I took from that design.